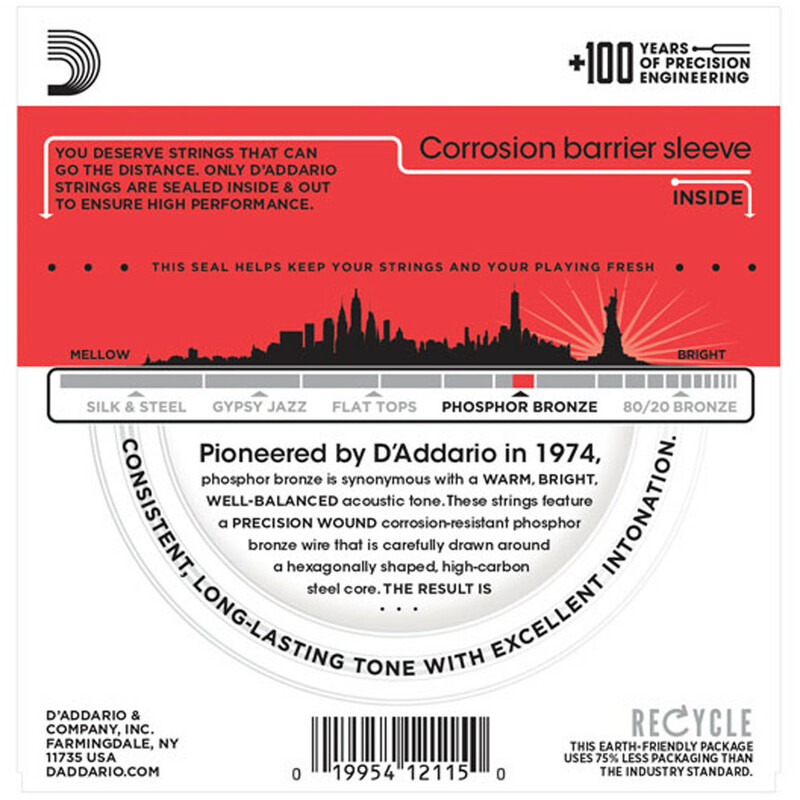 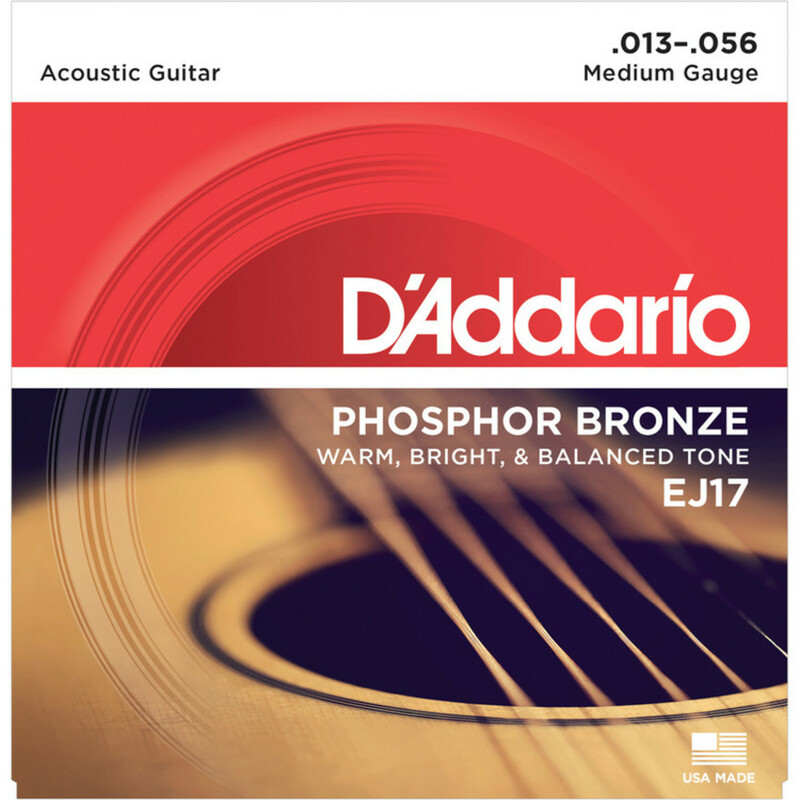 D'Addario have been refining the Phosphor Bronze range since 1974 - since then it has become a firm favourite with acoustic players for its well-balanced, warm sound. 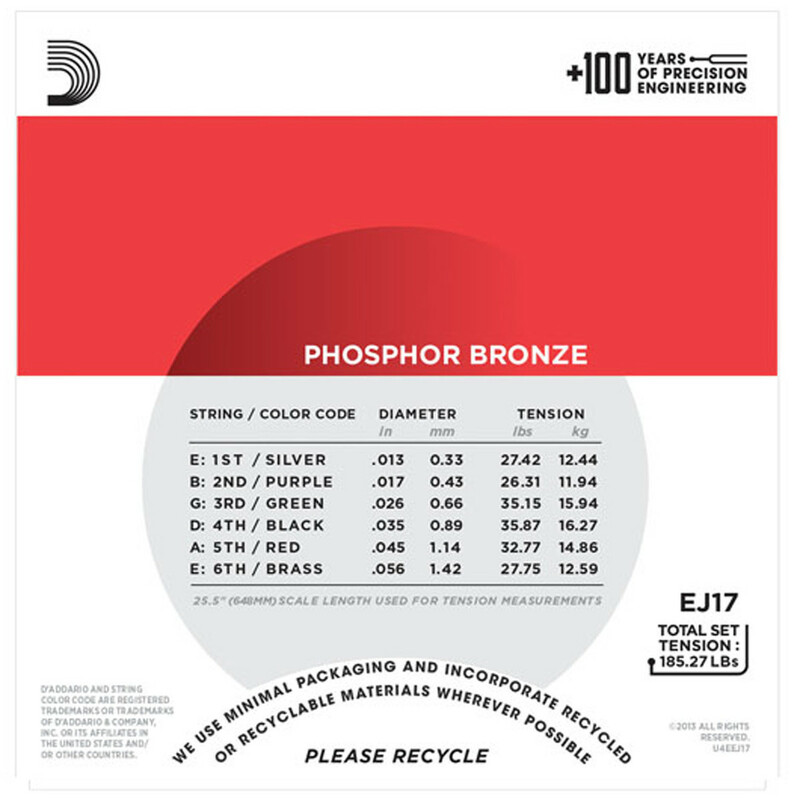 The phosphor coating prevents corrosion, preserving the carefully drawn, hexagonally shaped, high carbon steel core. 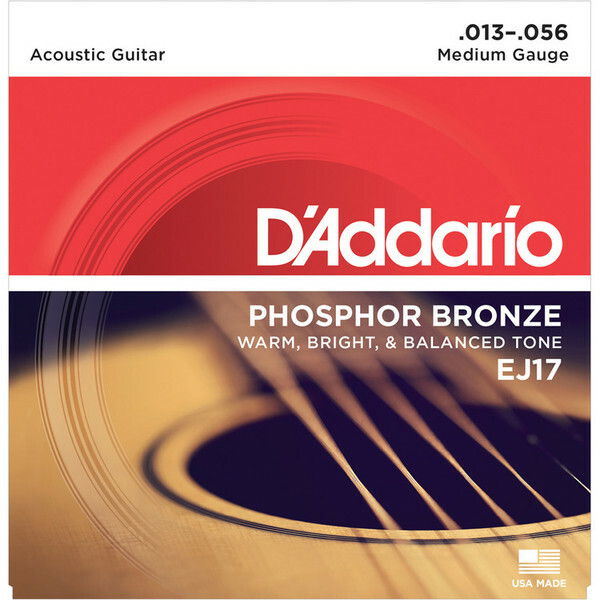 This comination of materials produces strings that are long-lasting and that hold in tune even with extended playing.